Who Has Our Back Here At Home? Is your favorite business on there? If yes, thank them. If no, consider asking them where they stand. Engage the owner or manager, politely and respectfully, to determine if they are someone with whom you want to do business. 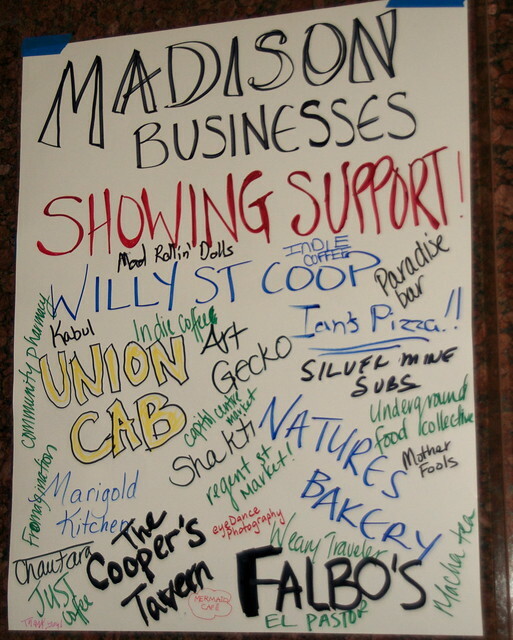 If small businesses in Madison and around the state think that you might not spend your money in their establishment, it gets their attention. If you are among the first to ask them where they stand, they may not pay attention to your concern. But if TEN people ask, they will notice. If they are undecided, just suggest to them that wage earners spend money, while unemployed or about-to-foreclose people do not. Ask them if things were really so dire in their mind a month ago. If they are leaning towards support, ask them to consider putting a modest sign of support in their window or next ad. Be aware that there are MANY businesses who have not had a high profile presence who still support the cause of our state workers, so be nice when you ask. Do not assume that no sign means no support. You just want to have them start thinking - really - about their own conscience, and their wallet. 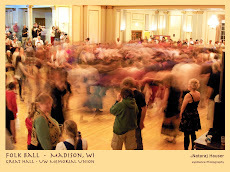 How wonderful to see that I recognize a fair number of those names, even though I moved away from Madison in 1996! A successful business MUST be involved in the community they are a part of and it shows.